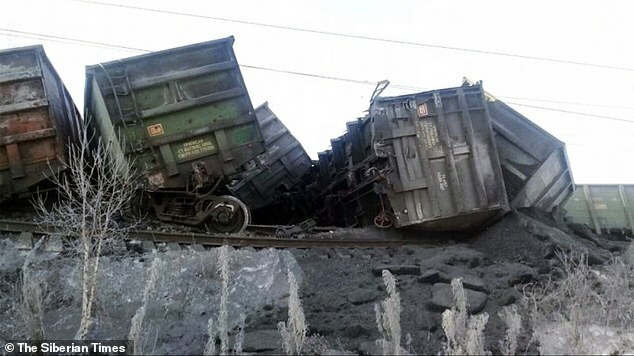 Part of the world’s longest railway was blocked today after 29 carriages of a coal cargo train fell off the tracks, causing delays of up to eight hours. A section of the famous Trans-Siberian line was blocked after the derailment on the Delyur-Tyret section of the East Siberian Railway, some 2,918 miles east of Moscow. There wasn’t any reports of injuries, but overhead power lines were torn down and some 1,000ft of track was damaged in both east and west directions, say reports. 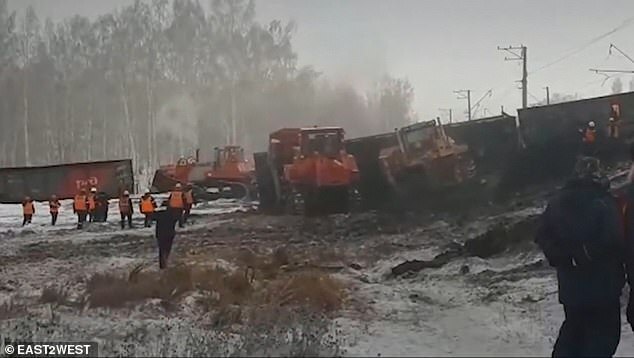 Pictures showed the derailed cargo carriages blocking the famous railway in the Irkutsk region close to the Lake Baikal, the deepest lake in the world. Emergency trains were sent to the scene bringing workers to clear the track and restore broken overhead power cables. The incident was today delaying trains on the seven-day long Moscow to Vladivostok route across Russia, a favourite of tourists. Trains from Mongolian capital Ulaanbaatar to Moscow were hit by the delays too. 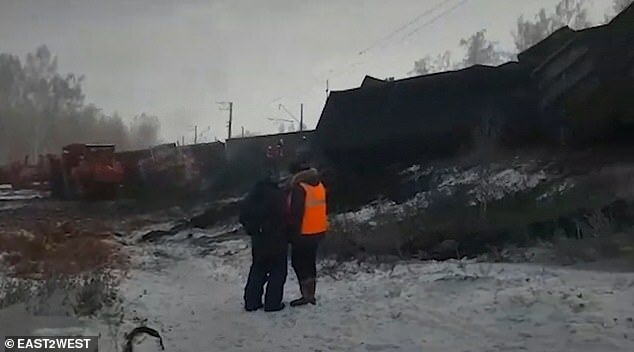 ‘Train movements in both directions on the Trans-Siberian railway were blocked in the aftermath of the accident,’ reported The Siberian Times. Two major passenger services were delayed up to eight hours, said Arkady Petshik, chief of corporate communications for East Siberian Railway. Staff ‘are doing everything in our power to fix the damage as soon as possible and restore the normal train timetable’. The cause of the incident is being investigated.